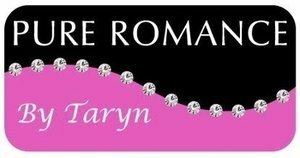 Pure Romance offers in home parties for bachelorette’s, girls night in’s, birthday parties, or just the perfect reason to hang out with your girlfriends! All while enjoying the comfort of your own home! Empowering means taking control of your life and embracing the resulting freedom. When you’re empowered, you know your worth, you are self-reliant, and take responsibility for the choices you make. We share this sense of empowerment when we help other women face their fears and go after what they want. We inspire others to pursue their dreams and create a future that’s better than they ever imagined. Educating means arming others with knowledge. You educate others with the lessons and information you’ve learned about sexual health and running a successful business. Entertaining means encouraging others to relax, have fun, and give themselves permission to let go. When we entertain, you allow laughter and open communication to take place. We provide a fun and comfortable environment where women can come together and have a good time.